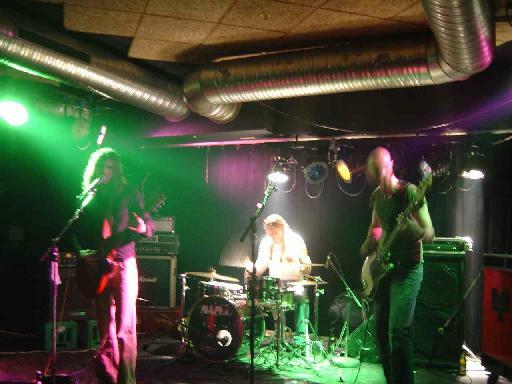 This was the first Stoner Rock night to be put on at Studenterhuset so we hoped for a lot of people. Lene, lead singer in the Davolinas (www.davolinas.dk) organized the gig. 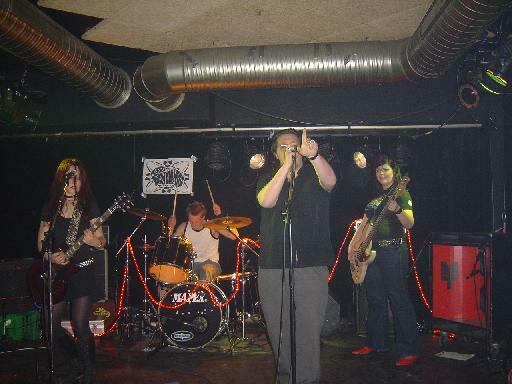 It had been 1½ years since Magnified Eye had played in Copenhagen and the first time for the Malmö band, Sgt. Sunshine. A reasonable crowd was assembled when the Davolinas started close to 10. They sounded really good and played some different songs from a month ago at the gig with Colour Haze. They had a guest singer on Stormy Monday. He reminded me a bit of Mark Laneghan. Great set. The crowd really liked them as well. Next up was Magnified Eye. They had recorded a new CD and were looking for a record label. Torben gave me a promo copy. Anyway, the band played a lot of new songs on this night, starting off with Trailblazer and Transition. Torben immediately broke a string and they had to take a break for him to change it as he only brought one guitar. The new material sounded great and the band really rocked! The end of the set they played a few songs from the first CD, Diesel Breath and No Big Deal. Religions Children finished the bands set. They played an encore song that I had hoped they would and they dedicated it to me, Mountain. One of their best songs and damn heavy! I think they got some new fans on this night. Strong rocking set. I heard people say too many of the songs sounded a like. Were they listening closely??? Sgt. Sunshine had not played a show in a year but were in a good mood and psyched to play. I love the bands debut CD and had hoped that they would do a lot of jamming as the CD has that sort of feel to it. I was not disappointed. The band were really great. They had a couple of long improvs in the set which included Eduardo using a violin bow on the guitar. 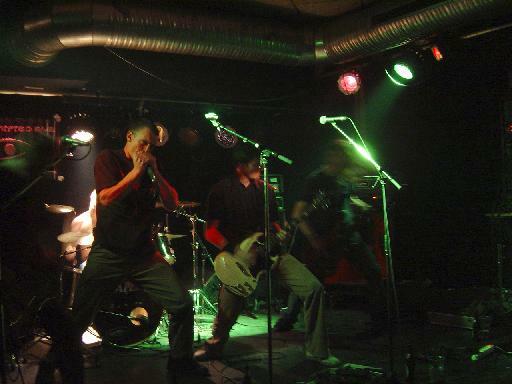 The material was mostly taken from the bands CD but a few songs I did not know were played as well. An excellent band and I can’t wait to see them play live again.